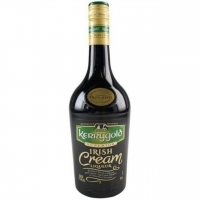 Kerrygold Irish Cream Liqueur is the new gold standard in Irish Cream Liqueurs. The finest blend of natural Irish cream, aged Irish whiskey and luxurious chocolate, Kerrygold Irish Cream Liqueur is simply the best. What makes Kerrygold cream so rich and satisfying? The milk of grass-fed Irish cows. Ireland's Atlantic Coast location and its temperate rainy climate make it the perfect place to grow grass. Our cows feed on the lush, green pastures of small Irish family farms, handed down for generations.